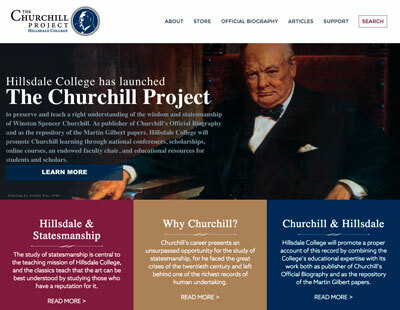 Win­ston Churchill was born in St. Louis, Mis­souri on 10 Novem­ber 1871 and edu­cat­ed in the city’s pub­lic schools (“pub­lic” in the Amer­i­can sense, “state schools” in the British sense). In 1894, a year before his Eng­lish coun­ter­part grad­u­at­ed from the Roy­al Mil­i­tary Col­lege (now Acad­e­my) at Sand­hurst, Churchill grad­u­at­ed from the Unit­ed States Naval Acad­e­my at Annapo­lis. After the Naval Acad­e­my, he served briefly on the edi­to­r­i­al staff of the Army and Navy Jour­nal. In 1895, when the Eng­lish Win­ston was pay­ing his first vis­it to the Unit­ed States, Amer­i­can Win­ston became man­ag­ing edi­tor of Cos­mopoli­tan mag­a­zine. Three decades lat­er, Eng­lish Win­ston would begin a lengthy series of arti­cles for the same jour­nal. The amus­ing cor­re­spon­dence between them (“Mr. 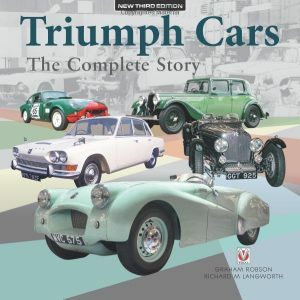 Win­ston Churchill to Mr. Win­ston Churchill”) appears in Eng­lish Winston’s auto­bi­og­ra­phy, My Ear­ly Life. 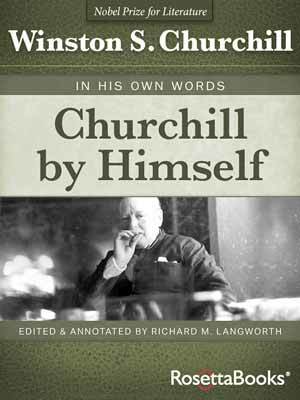 In 1995, on one of her vis­its to us in New Hamp­shire, my wife and I took Lady Soames to the Bak­er Library at Dart­mouth, which hous­es nov­el­ist Churchill’s papers. There she was able to review her father’s orig­i­nal let­ters to his epony­mous fel­low writer. 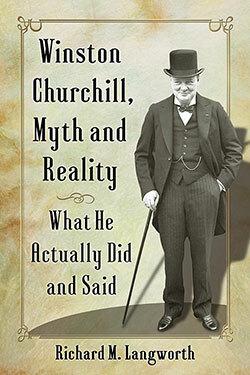 In 1901, the nov­el­ist Churchill and war cor­re­spon­dent Churchill met in Boston dur­ing Eng­lish Winston’s lec­ture tour. Amer­i­can Win­ston threw a din­ner for him. Great cama­raderie pre­vailed and each of them promised there would be no more con­fu­sion. Alas, Eng­lish Win­ston got the din­ner bill and Amer­i­can Win­ston received the Englishman’s mail. Amer­i­can Win­ston was an ear­ly recruit of the famous artist and writer colony at Cor­nish, New Hamp­shire, an “aris­toc­ra­cy of brains” found­ed by Augus­tus Saint-Gau­dens in the 1890s. Among its dis­tin­guished cadre, Cor­nish count­ed illus­tra­tors Stephen and Max­field Par­rish, the gar­den design­er Charles A. Platt, and artists Keny­on Cox, Flo­rence Scov­el Shinn and Willard Met­calf. States­men, notably Theodore Roo­sevelt, were among its vis­i­tors. The two Churchills were not polit­i­cal soul­mates. This is sug­gest­ed by Amer­i­can Winston’s close friend­ship with Theodore Roo­sevelt. In 1911, Amer­i­can Win­ston ran for Gov­er­nor of New Hamp­shire on the tick­et of TR’s Bull Moose Par­ty, but was not elect­ed. 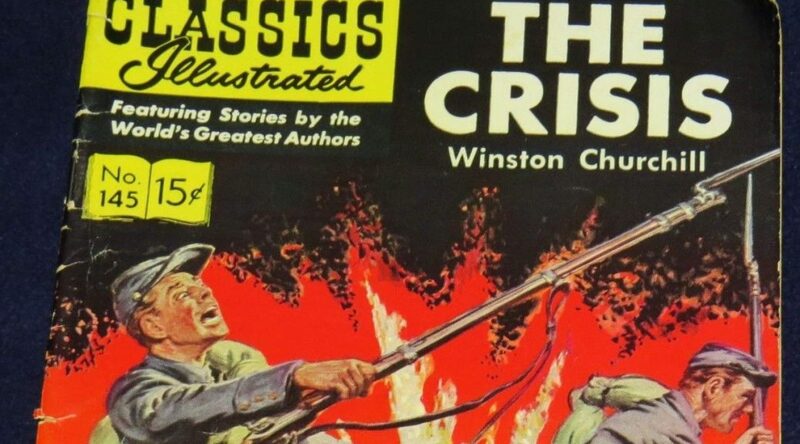 “TR” nursed a famous antipa­thy toward both Win­ston Churchill and his father. 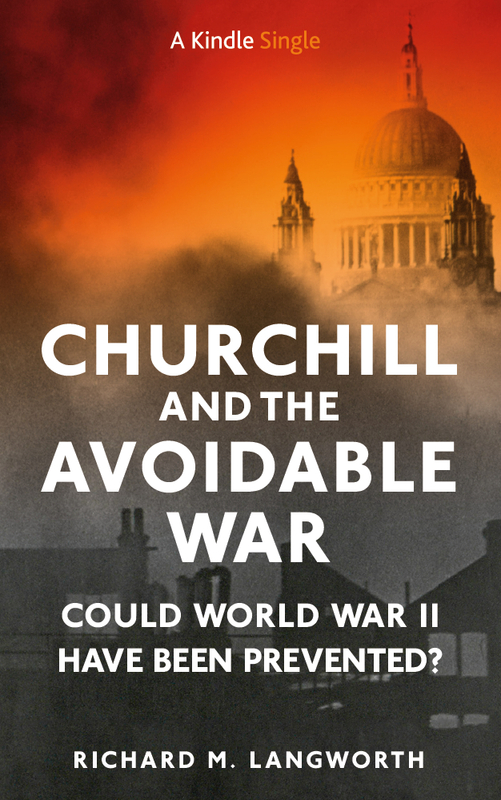 I believe, but can­not prove, that Roosevelt’s influ­ence had some­thing to do with the two Churchills’ lack of con­tact as the 1900s wore on. 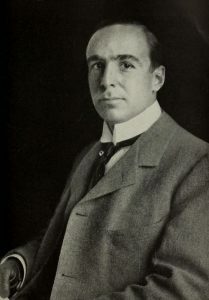 When Amer­i­can Win­ston vis­it­ed Lon­don dur­ing World War I, to inter­view lead­ing states­men for his only non-fic­tion book, A Trav­eller in Wartime, he paid no call on Eng­lish Win­ston. Eng­lish Win­ston pub­lished only one nov­el, Savro­la. The Amer­i­can nov­el­ist devot­ed almost his entire career to fic­tion. His books are still com­mon­ly found in dusty cor­ners of New Eng­land sec­ond­hand book­shops. His work is rich in the panoply of 19th cen­tu­ry Amer­i­can his­to­ry and New Eng­land pol­i­tics. Titles include Richard Carvel, The Inside of the Cup, A Mod­ern Chron­i­cle, A Far Coun­try, The Cross­ing, The Title Mart, The Celebri­ty, Mr. Crewe’s Career, and a notable Civ­il War nov­el, The Cri­sis. The nov­el­ist died in Flori­da on 12 March 1947, a few weeks after the death of Eng­lish Winston’s broth­er Jack. 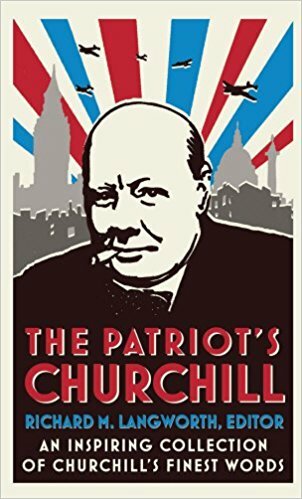 I have been unable to find, but would be delight­ed to know of, any­thing he had to say about Eng­lish Win­ston in World War II. The author has cho­sen St. Louis for the prin­ci­pal scene of this sto­ry for many rea­sons. Grant and Sher­man were liv­ing there before the Civ­il War, and Abra­ham Lin­coln was an unknown lawyer in the neigh­bor­ing state of Illi­nois. It has been one of the aims of this book to show the remark­able con­trasts in the lives of these great men who came out of the West…. St. Louis is the author’s birth­place, and his home—the home of those friends whom he has known from child­hood and who have always treat­ed him with unfal­ter­ing kind­ness. He begs they will believe him when he says that only such char­ac­ters as he loves are rem­i­nis­cent of those he has known there. of a time when feel­ing ran high. It has been nec­es­sary to put strong speech into the mouths of the char­ac­ters. The breach that threat­ened our country’s exis­tence is healed now. There is no side but Abra­ham Lincoln’s side. And this side, with all rev­er­ence and patri­o­tism, the author has tried to take. Yet Abra­ham Lin­coln loved the South as well as the North. With mal­ice toward none, with char­i­ty for all, with firm­ness in the right, as God gives us to see the right, let us strive on to fin­ish the work we are in; to bind up the nation’s wounds; to care for him who shall have borne the bat­tle, and for his wid­ow and his orphan—to do all which may achieve and cher­ish a just and a last­ing peace, among our­selves, and with all nations. 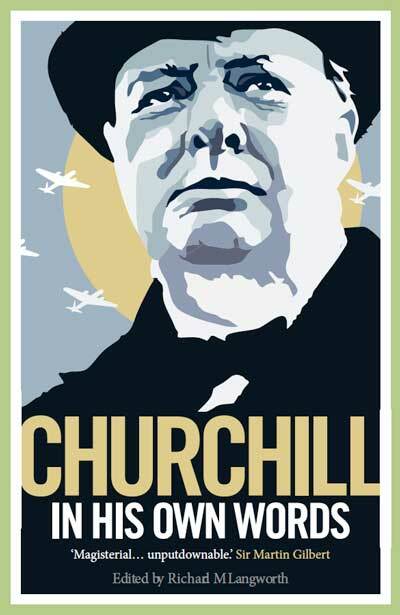 Win­ston Churchill the Eng­lish­man also quot­ed those indeli­ble words—in oth­er con­texts but with equal fer­vor.